There’s gold in YouTube videos. Sure, you can get some views by posting your friend’s epic water skiing fail or something cute your cat did. But actually creating compelling video content that will have regular subscribers returning, again and again, is a hugely lucrative business. If YouTube star PewDiePie can rake in $15 million a year just by recording his video gameplay commentaries, just think of the possibilities. 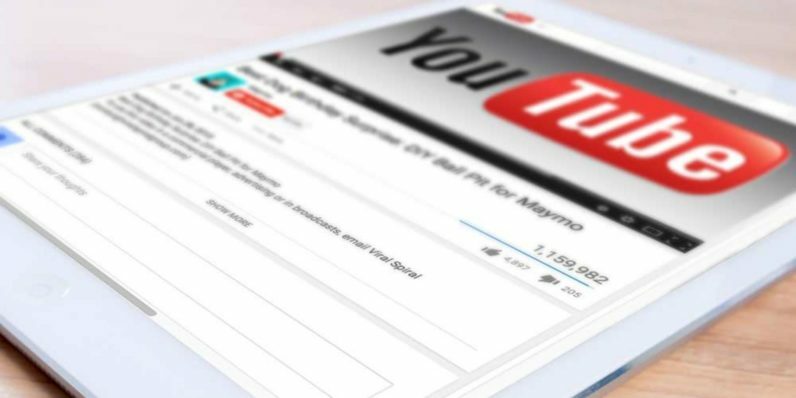 You can take advantage of YouTube’s power and learn to make some serious money at the same time by utilizing the skills learned from training like the YouTube Mastery Bundle, on sale right now for $41 from TNW Deals. This package of courses takes you step-by-step through the YouTube process, including everything from shooting and producing videos to distributing and eventually marketing your work. The Complete YouTube Channel Course: Get Paid to Make Videos helps you figure out how to get started. From there, you’ll learn tricks for making your videos look professional (YouTube Secrets: Thumbnails and Graphics Course), as well as how to use keywords and strategic outlets to get more eyes on your channel (YouTube Marketing Video Production And SEO). With finished, polished videos in hand, How to Promote Your Business on YouTube Course will then teach you methods for monetizing and attracting business attention to your product to start making real money. There’s even a tutorial on a business model for earning cash through YouTube without even producing videos of your own (How I Make $2000 a Month on YouTube With No Filming Course). These courses retail for between $150 and $500 each, but right now with this limited time deal, you can get the entire package for just $41.